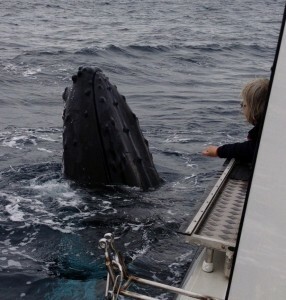 Welcome to Blue Bay Whale Watching, Byron Bay’s most comfortable Whale Watching tours. Come and enjoy an intimate encounter with majestic Humpback Whales from the comfort of our 8.5m Cougar Cat “Bay Warrior” without getting wet. Experience the thrill of seeing Humpback Whales breach and witness the playfulness of these magnificent giants as they come into the bay for a rest. Our whale watching tours depart from the picturesque Brunswick Heads Boat Harbour where our customers step safely onboard our vessel without getting wet. The “Bay Warrior” was purposely built for comfort and stability. It has a large cabin with big glass windows for great viewing from indoors and a toilet for your convenience. Our stable back deck is sheltered from the sun and the rain which makes for comfortable viewing for all passengers. 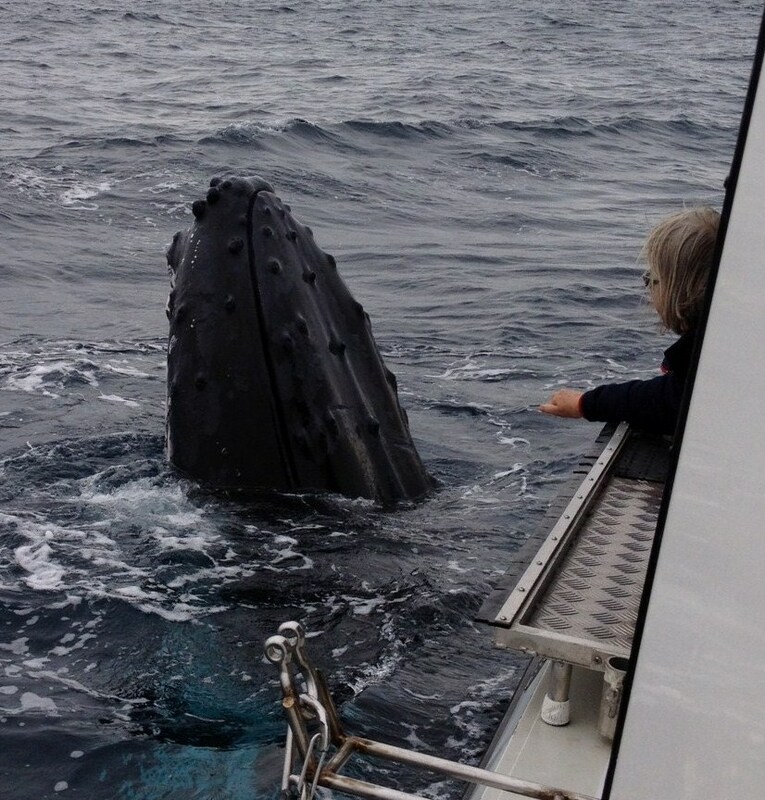 More adventurous passengers can access the elevated front deck and enjoy 360 degree views of whales and scenery. We believe in making our customers as comfortable as possible, so you and your friends and family can fully enjoy their Byron Bay whale watching experience. Small group sizes of no more than 12 passengers per trip allow our friendly professional crew to give you the personalized service you’d expect from the charter operator of your choice. Call 1800 858 155 and book your whale watching adventure now or visit our whale watching website for more information.